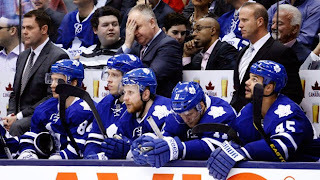 Last time, I reflected on the catastrophic failure of one of ice hockey’s most iconic teams, the Toronto Maple Leafs. 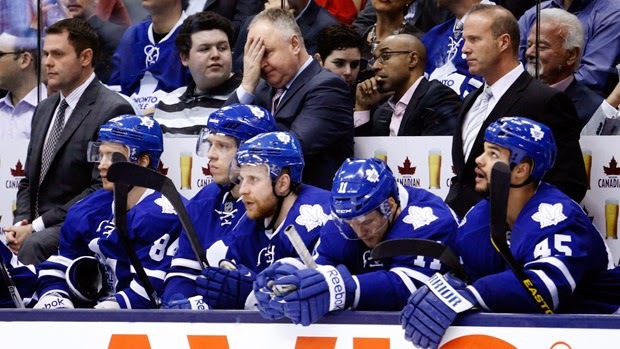 The Leafs have made the NHL playoffs exactly once these past 11 years, and have not won the Stanley Cup in 48 years. In their first half century, by contrast, the Leafs won 11 Stanley Cups, and were famous for their tenacity and grit. In a Fan’s Five-Why Analysis (FFWA, ahem), I suggested the root causes include a) disengaged senior management for whom profitability is paramount, and b) market failure (no competition). If so, what are possible countermeasures? Or are Leaf fans doomed to eternal suffering, like, say, Chicago Cubs fans? Maple Leafs are bought by a sympathetic billionaire who loves them, and doesn’t mind ‘under-performing’ investments. The NHL approves a second (or third) southern Ontario NHL franchise. This is turn might require a change of NHL By-Laws to reduce MLSE’s veto power. Sadly, the fan’s’ only countermeasure is the boycott, which many, including me, have embraced. For five years now, I have been an avid follower of the splendid Chicago Black Hawks, and their captain, Jonathan Toews. As it happens, the Maple Leafs once had such a captain - George Armstrong. ‘Army’ led the Leafs’ legendary 1960’s teams that won four Stanley Cups. Army is also a member of my gym – a gentle giant, still ram-rod straight and pumping iron in his 80’s. “It sure meant a lot to me,” I replied. Army’s response reminded me of the New Zealand All Blacks motto: Leave the jersey in a better place. I leave you with one of my earliest hockey memories: Game Six of the 1967 Stanley Cup finals, Maple Leafs versus their arch rivals, the Montreal Canadiens. Less than a minute to play, the crowd is going nuts. George Armstrong wins the face off. The puck goes to Allan Stanley, who relays it back to Army at the blue line. Army looks up, shoots and scores. Maple Leafs win the Stanley Cup.